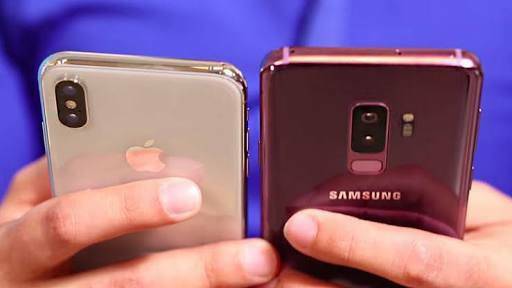 Home Phones Apple Samsung Galaxy S9 Plus VS iPhone X: Which is truly the best? Samsung Galaxy S9 Plus VS iPhone X: Which is truly the best?. Despite the numerous smartphones in the market. And many more scheduled to drop, we can arguably say only a few are on top of the chart. In a battle between two of the best operating system, iOS, and Android. The iPhone X and Samsung Galaxy S9 Plus are the leading Commanders for their respective operating system. Both Apple and Samsung have different ideas in terms of what their customers truly want. Which is why their smartphones have their unique features. So how do Apple’s latest flagship and Samsung’s latest flagship match up against each other? While Samsung ditched the famous home button in Samsung Galaxy S7. Apple has joined the bandwagon with the iPhone X coming without a home button. The removal paves way for a more bigger screen for the iPhone X. Both phones feature the famous front and back glass. While the Samsung Galaxy S9 Plus has an aluminum frame. And iPhone X having a stainless steel frame. They’re both water/dust resistance with the Samsung Galaxy S9 Plus having a better IP rating (IP68). While the iPhone X have an IP67 rating. The Samsung Galaxy S9 is thicker at 8.5mm to the iPhone X at 7.7mm. And is also taller and wider in dimensions. The iPhone X weighs only 174 grams, which is lighter than Samsung Galaxy S9 Plus’s 189 grams. The iPhone X comes in Apple’s usual Space gray and Silver body colors. While Samsung added a new color called Lilac Purple to give the Galaxy S9 Plus four color variants; Midnight Black, Coral Blue, Titanium Gray and Lilac Purple. Both smartphones have a rear dual camera. While underneath the Samsung Galaxy S9 Plus rear camera is the fingerprint sensor. The iPhone X comes without a fingerprint sensor and instead features a Face ID recognition. For what it’s worth, Samsung is the sole provider of the trending OLED touchscreen. Both devices feature the Super AMOLED capacitive touchscreen. With the iPhone X having a top-notch which cuts into its bezel-less screen. The screen of the Samsung Galaxy S9 Plus is brighter and sharper than the iPhone X. The Galaxy S9 Plus has a display resolution of 1440 x 2960 pixels and 529 PPI density. While the iPhone X features a resolution of 1125 x 2436 pixels with 458 PPI density. But that doesn’t mean the iPhone X won’t offer you bright screen. It features a 5.8 inch compared to Galaxy S9 Plus’s 6.2-inch screen. Samsung has set the standard by adding a dual aperture to the primary lens of the Galaxy S9 Plus. The phone houses a dual rear camera. With the primary lens having a resolution of 12MP and f/1.5-2.4 aperture. While the secondary lens has a resolution of 12MP and f/2.4 aperture. At the front camera is a resolution of 8MP and f/1.7 aperture. On the other hand, the iPhone X houses a dual rear camera. With a resolution of 12MP and f/1.8 aperture on the primary lens. And 12MP with a f/2.4 aperture on the secondary lens. A resolution of 7MP with a f/2.2 aperture can be found on the front camera. The internal storage of the iPhone X comes in two variants; 64 and 256GB. While Samsung Galaxy S9 Plus comes in three; 64, 128 and 256GB. The iPhone X packs a non-removable Li-Ion 2716 mAh battery. While the Samsung Galaxy S9 Plus packs a non-removable Li-Ion 3500 mAh battery. Both phones feature fast battery and wireless charging. A separate accessory is needed to enable the iPhone X to fast charge or wireless charge. While on Samsung Galaxy S9 Plus, you’ll need a separate accessory for only wireless charging. HAVE YOU SEEN: Xiaomi Mi Mix 2S VS iPhone X: Specs Comparison? The Samsung Galaxy S9 Plus is available for about $1,225 (N428,750). 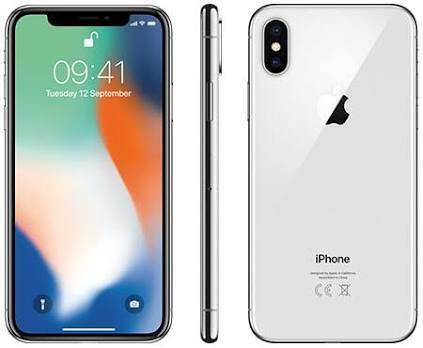 While the iPhone X goes for about $1,237 (N432,950). They’re among the leading smartphones currently and it’s no surprise to see their prices close. Hard to make a choice here, but I would go with the Samsung Galaxy S9 Plus.